Representing the United States can be a daunting task, but with the right person next to you and the right duty boots on your feet, it's a heck of a lot easier. 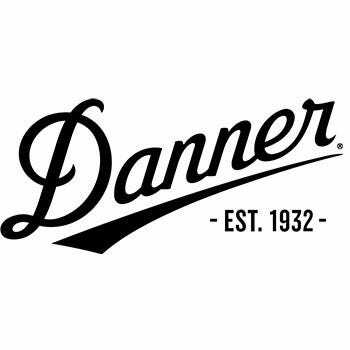 Danner Men's 15610X Brown USA-Made Steel Toe USMC RAT Military Work Boots offer the dependability and su ... (see full details) (see specifications) #DNN15610X. Representing the United States can be a daunting task, but with the right person next to you and the right duty boots on your feet, it's a heck of a lot easier. Danner Men's 15610X Brown USA-Made Steel Toe USMC RAT Military Work Boots offer the dependability and support of the best Marine. This tactical footwear offer the best of both worlds - durability and flexibility, especially since they're American-made. Starting with Nubuck leather and 1000 Denier nylon uppers, these USMC shoes are rugged and lightweight. he leather provides structure, strength, and flexibility, while the Denier nylon is lightweight and breathable. Nubuck is soft and velvety, and it's often mistaken for suede, but it's actually made from the outer surface of the leather (unlike suede which is thinner and comes from the inner surface of the cow's skin). Many boots are manufactured for wear in hot, desert environments, but these are specially designed for cold wear. The outsoles, Vibram 360 outsoles, have Vibram's Dri-Ice compound which gives you superior traction in rugged, cold-weather environments. The special soles help shed snow and ice build up, so that the lugs don't freeze up and become slick with ice. To protect you, Danner built steel safety toes into the tips of this men's footwear. They'll protect your toes from all sorts of falling objects and impact from above. The toes meet or exceed ASTM F2413-05 I/75 C/75 EH (electrical hazard) standards. Since they're EH, these USA-made boots are manufactured with non-conductive, shock-resistant soles and heels. Electrical hazard rated shoes protect you in all sorts of situations since they provide a secondary source of protection against the dangers caused by open circuits. The outer surfaces of these premium shoes have their own built-in protection. Polyurethane coated toe and heel caps keep this footwear looking good and abrasion-resistant. Toe and heel caps like these cut down on the time it takes you to polish your steel toe shoes.All of the seams on these boots have been thoroughly double stitched to give you uncompromising fit and superior protection. Double stitching helps keep the shape better, even when they're pulling over your feet. If one line of stitches starts to come out, double stitching keeps the safety toe boots together. When you're a Marine, you wear your allegiance on your sleeve (or on your skin). Wear it on your men's footwear, too. These are USMC certified with the Eagle, Globe, and Anchor emblem. They're also Berry Compliant and made in the U.S.A. It should be easy to see why these Danner Men's 15610X Steel Toe USMC RAT Military Brown Boots are the right choice for all your military needs. If you would like to try the Gore-Tex version of these boots simply search style 15672X and add them to your cart! A while ago, like a few months ago, I got a pair of these for my buddy who's in the Marines, since his issued boots were crap, and he loved them! He said that the water proof was a life saver, saving his feet and his socks! On top of that, they are military qualified and therefore allowed to be worn. Needless to say, his feet are nice and safe over in Afghanistan. If in the military or know any who are looking for boots, look no farther. I received a pair of the RAT boots for my birthday and I love them. I liked them so much I bought another pair for spares. Danner Boots: Men's Brown 15610X Steel Toe USA-Made Military Boots is being added to your cart.